I was doing a little looking in my archives and came across these New Year's Eve party printables that I had found over at Celebrations at home back in 2010. I may be two years late posting them, but if you are looking for a quick and easy help to get your New Year's Eve party off the ground, these printables might be just the thing. Even if you aren't having a full fledged party, the fun Happy New Years banner would still be fun to hang over your mantel! 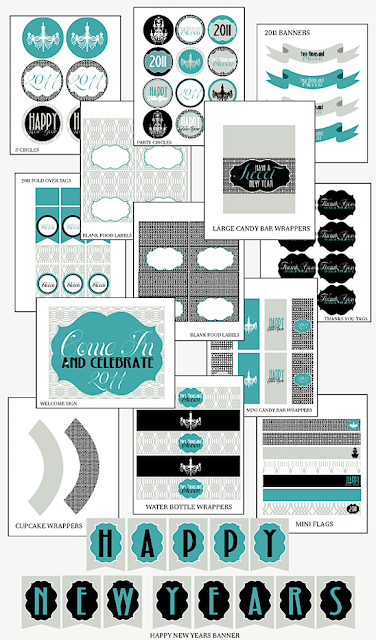 You can get these fun NYE party printables from Lindi of Love the Day. i'll have to bring some up!